You’ve been selected for a mobility program in Lyon ? Congratulations ! You are now probably seeking for information in order to get a concrete picture of your future experience before taking the plunge: I’ve been in your shoes ! And because I’ve been there, I decided to take place the Bienvenü package, which is a complete and personnalized support for young international. The idea is to let you integrate and feel home in the city as fast as possible. But let’s explore it in details through the five W’s ! The Bienvenü package is a complete support which starts before your mobility, includes a welcoming part as well as a follow up. My aim is to let you enjoy the excitment connected to your mobility and reassure you by being a true buddy, a golden contact, in other words the person who will make everything easier for you. It starts with answering your questions anytime, draw a profile of your expectations in order to write a personnalized guide which will includes good tips, pick you up at the airport, drop you off at your accomodation, be a support in all administrative steps (general information meeting, transportation card, opening of a bank account), let you enjoy an alternative guided tour of Lyon and a French lesson, send you weekly good tips during the length of your stay and be there for you in case of any problems. At first, because I lived myself the abroad experience. When I left for Sweden for a year, I enjoyed a great support by an amazing welcoming team. It was my very first long abroad experience and it felt good to have marks already before my arrival. The administrative part isn’t the most exciting one but everything was made in a blink of an eye. It was also surely done as I was supported by locals. The language barrier and the worry not to do the right thing or even to miss something didn’t exist then, or at least never had been a problem. Also because from my experience as an exchange program coordinator within the university, I met many students who encoutered problems because of the complexity of the French administrative system, because of the dishonesty of some flat owners or simply because of the language barrier previously mentionned! Finally because I know the value of such an experience and that the best way to fully enjoy is also to start it well ! Especially when the lenght of your stay is short and you have to optimize your time. 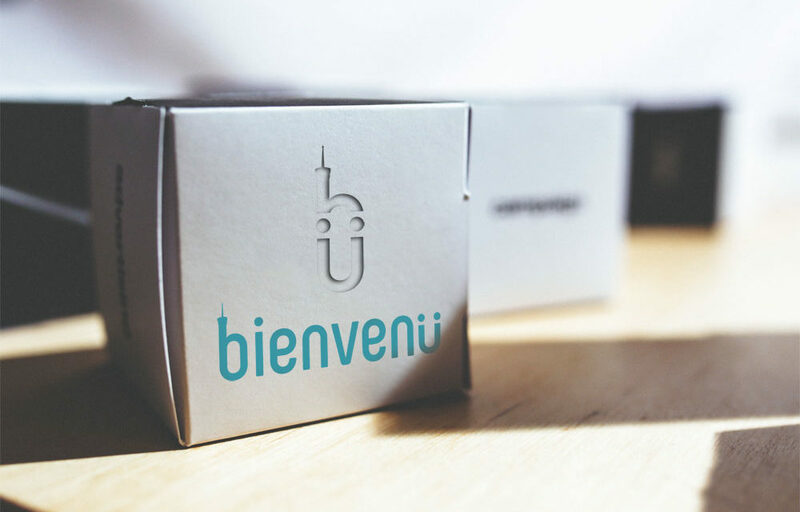 The Bienvenü package takes place between you and me. Your contact person at the university has a lot of students to deal with, especially when everybody is arriving at the same time at the start of the new semester. Therefore, I will be there for you to support anytime, answer all your questions and guide you in all steps (incuding making calls to any administration to fix a problem, book appointments, or be with you when you open a bank account for example). I also took place several partnerships in order to complete the offer. Lyon explorer will let you discover the city within an alternative tour, and a French teacher will give you a one hour lesson to learn about typical Lyon’s expression ! In case you didn’t find any accomodation before your arrival, our partner the Flaneur Guesthouse, perfectly located in the great 07th district, will welcome you with a 10% rate (if you suscribed to the Bienvenü package). The package isn’t just designed for students, but for all young international who are seeking for a close support when arriving in Lyon. Already when you have an interest in Lyon and living the experience in this great city ! You can contact me with any question : cultural life, budget…Once you made your decision about joining us, you can suscribe to the Bienvenü package. Then, I will send you a form in order to know about your expectations and write your personalized guide. We will be in touch until your landing ! After that, it will be the time of the welcoming part: from picking you up at the airport to the opening of a bank account. I will be then following up on the lenght of your stay (up to 2 semesters). At first : Online ! I am well aware that it isn’t an easy thing to trust somebody miles away and suscribe to such a service when you haven’t met the person offering it ! So let’s enjoy our modern communication opportunities and fix it : we can talk about the Bienvenü package via email, but even better via a Whats app call or a Skype video call. Second part : let’s meet in Lyon when you arrive!